With or without economic crisis I love traveling. I am from Chile and from Early 2000 Chilean people started to know more and more about Working Holiday visas in New Zealand. Just 1.000 visas per year, I don’t know if they are enough for all of us, but who can get one… LUCKY YOU!!! I didn’t make a single plan before coming to NZ, for me this one would be a new adventure, and I wasn’t wrong, it was. How awesome is it to witness memorable events of the country you are visiting for holiday? I went to join the event Superhaka this week along with other hundreds of people in New Zealand. New Zealand’s funny little small towns! So we all know that the Stray bus company are the experts when it comes to getting you ‘off the beaten track’ and into the wild outdoors. It’s not the first time that I hear that, and not the last, that’s for sure. The thing is that most often they don’t even know what to do around here. Winter season is full on!!! Rain drops are falling on my head, wind on my face, gray skies everywhere can only mean one thing… winter’s here, for all of us to enjoy. I know, I know, enjoy winter sounds like a paradox, but I know that there’s people out there that get what I’m saying, enjoy winter can mean only one thing, WINTER SPORTS!!! and some others that can be done all year round despite weather conditions. “Gorgeous day for a dive” He said, and off he went. I could see him fall though this tiny glass window and I kept telling to myself “Oh my god I sooo wanna go next!”, and then I let myself go into my brand new addiction, I’m terrible I know. Way to early, way too sleepy and I forgot my sea-legs at home!!! That was my first thought as I was walking down to the ferry station. Winter is making its way to Auckland. I could totally tell this morning when I woke up to come to reception. When it’s 7am and it’s still dark out there you can be sure that winter is on the move to hit you. 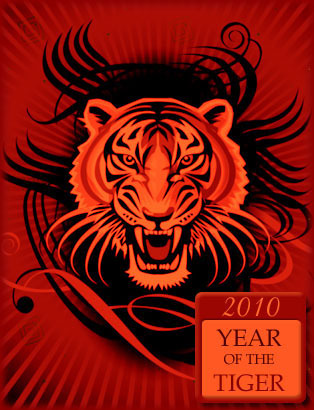 Happy year of the Tiger to everyone!!! With the arrival of the Chinese New Year all the good news arrive to Surf N Snow Backpackers in Auckland. Our new web site is ready to go, full of interesting info about travelling and activities in Auckland and the surrounding areas.